The 2015 MTV Video Music Awards, hosted by Miley Cyrus, definitely had its share of...interesting moments. From performances to skits to Nicki Minaj going in on Miley as she accepted an award, we're definitely going to be talking about this for a while! 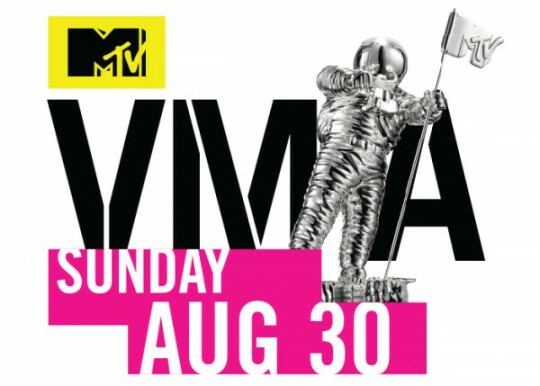 Check out the full list of winners below and see if your favorite took home a Moonman! Happy Friday y'all! We have another great spotlight today! As always, if you are or represent an upcoming artist, designer, producer, etc., and are interested in a feature on the blog, visit our Features/Submissions page for more information! Today, we have designer Carla Stovall! Raised in Dallas, Texas, Carla began developing a love for fashion as a kid, even drawing out her own designs. 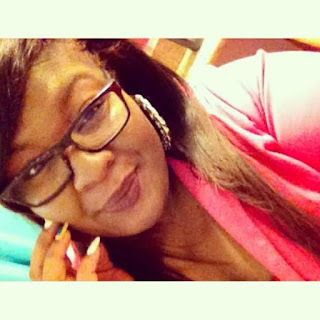 She received her degree in Fashion Design and Merchandising at Wade College in her hometown, where she learned how to sew and improved upon her designing and illustration skills. The designer acknowledged she has always paid close attention to styles people wear in Dallas, both the good and the bad. "To this day, when I see certain people, I [think] 'If they just would've done this, that would not look like that on them," Carla said honestly. "Half the time, I notice that people wear things that don't appear like it matches their shape." Those thoughts inspired Carla to begin creating custom pieces for others who are not the ideal "square" or "hourglass" shape. By Unknown 4 comments: Share This Post! Lil B – Bay Area rapper, Based God and Bernie Sanders supporter – made plenty of waves during the NBA Playoffs when he cursed LeBron James and J.R. Smith for their hubris, and though he'd subsequently lift the bad juju on LBJ, apparently the rest of the league was paying attention. On Friday, August 21, 2015, Just Mike (the poet) hosted the Washington, D.C. stop of The Love and Poetry Tour featuring Vision, Jamarr Hall, and other poets! I really wasn't going to even write a post about the event, simply because I just wanted to just soak everything in and truly enjoy myself. I keep telling myself I need to actually enjoy more of life's moments, instead of wanting to capture them all for the blog or social media. However, the more clips I recorded on my phone (I couldn't help it! ), the more I wanted to share with you guys! I'm big on poetry, and big on using writing as self-expression in general. 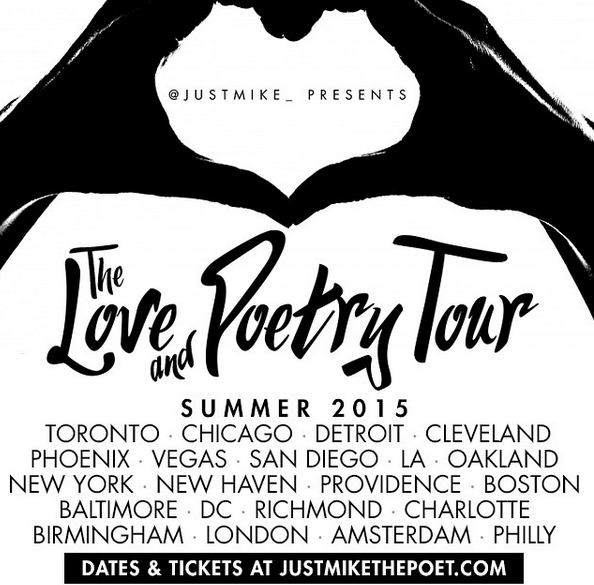 I watch spoken word a lot on YouTube and follow some amazing poets and writers online, Mike included. I've purchased a few of his books a while back, and HAD to see him in person on this tour! I'm glad I did. I was surrounded by amazing people with great vibes, all enjoying great words and music. I'll definitely be supporting the other poets, as well as checking out other open mic and poetry events. Features/Submissions page for more information. Today we have the multi-talented artist and musician Timothy J. Wilson! This star on the rise grew up in White Plains, NY, about 20 minutes from Manhattan. A pastor’s kid, Timothy started playing instruments as a child at church. “As a pastor’s child, you’re pretty much there all the time, [so] they’re putting you on instruments” the singer joked. In addition to the singing chops he inherited from his father and grandmother, Timothy began playing the drums, and then learned other instruments including the piano, guitar, and bass. His talent was being developed extensively as a kid for his journey as an artist. Even at a young age, Timothy knew that music would be his life’s path! Love featuring a diverse group of artists, designers, and on The Spotlight! That's the best part of the job! 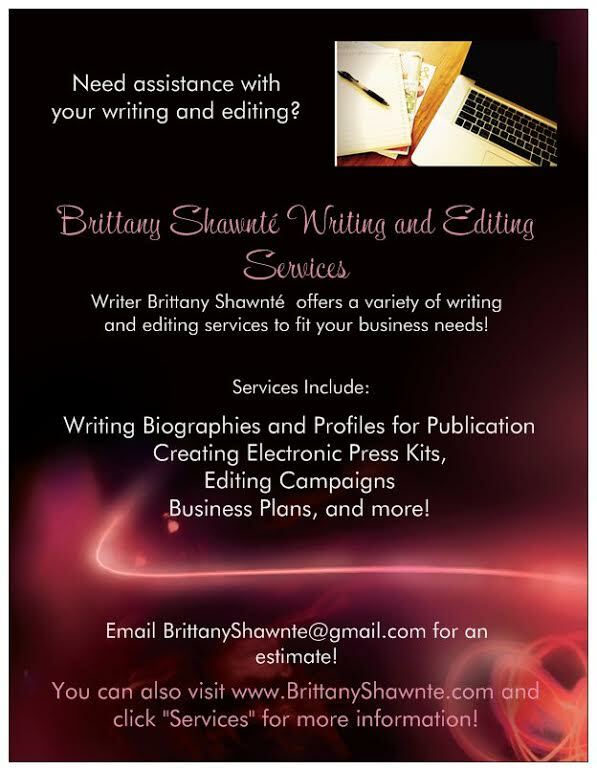 As always, if you or your client would like to be featured on the blog, please visit our Features/Submissions page for more information. Today, we have rock/pop group Young-Borra! 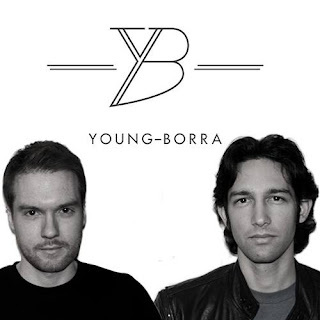 The group, comprised of Jonas Young-Borra (lead vocalist/lyricist), Garrett DeTemple (vocals/bass/lyricist), and Michael Curley (production), definitely has a unique sound that resonates with listeners. Jonas first met and began playing music with Garrett during their time at Purchase College in New York. Zendaya is officially set to judge the 2016 Miss America pageant! According to PEOPLE, the star will join singer Brett Eldredge, snowboarding bronze medalist Amy Purdy and Taya Kyle, author and wife of the late U.S. Navy Seal Chris Kyle, on the judging panel for the competition. 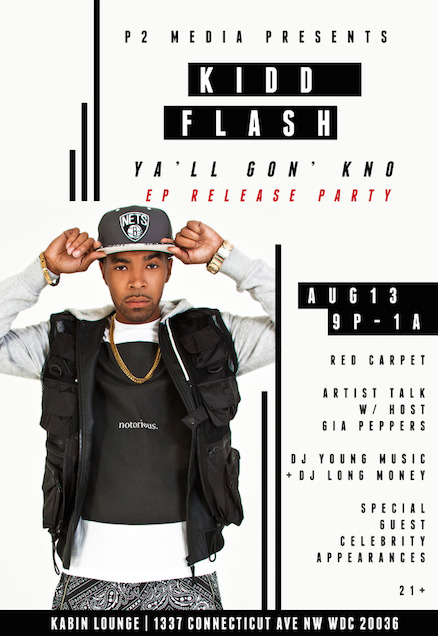 Last week, I had the opportunity to attend and cover rapper Kidd Flash's album release party for his debut project, Ya'll Gon' Kno'! Held on August 13, 2015 at Kabin Lounge in Washington, D.C., the event featured an Artist Talk with Kidd Flash hosted by journalist Gia Peppers, as well as performances by the artist himself! 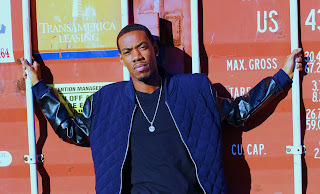 Kidd Flash is actually the son of singer Ginuwine, and has inherited his father's love and passion for music, although he leans toward the hip hop side. 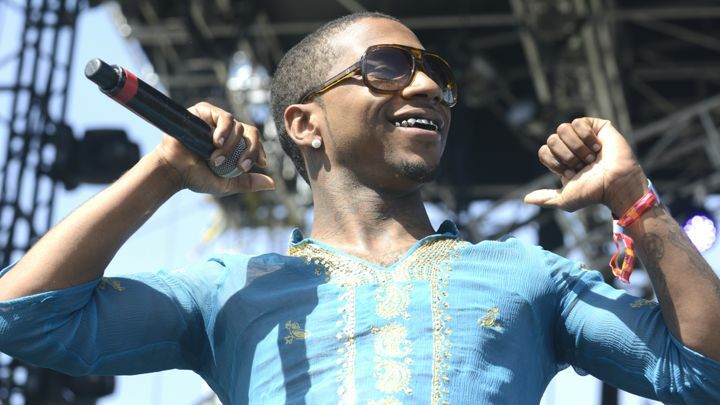 The young rapper definitely has potential to make a name for himself in the industry. Check out some footage from the event below (hosted by P2 Media)! 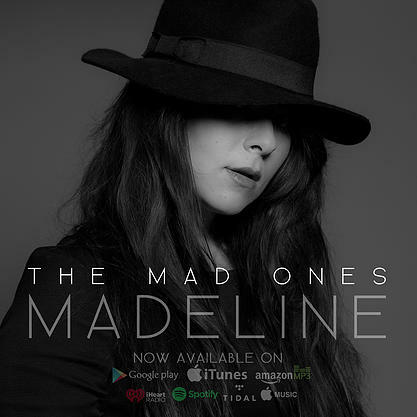 Check out the latest track from singer/songwriter Madeline, entitled, "The Mad Ones!" Originally released on July 18, 2015, the unique track serves as inspiration to the innovative dreamers out there that may be seen as weird or insane simply because of their thought process or work. Madeline admits that she is a "mad one" herself, but doesn't particularly care what anyone may think of her. 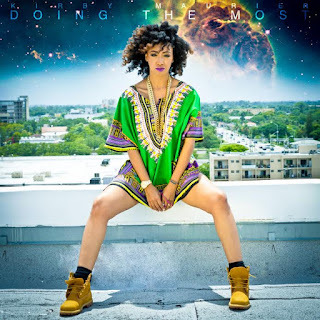 "I'm a rarity, straight mastermind...I find clarity in me, myself, and I," Madeline sings on the track. "They swore I was crazy, but they're just scared. I've earned my degree in not afraid to fail, cuz I'm not afraid to fail." Another spotlight to start the week! As always, if you are or represent an upcoming artist, producer, designer, etc., and are interested in a feature on The Spotlight, please visit our Features/Submissions page for more information. 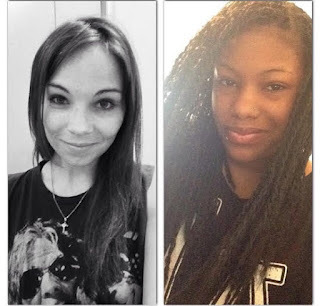 Today, we have poetry/songwriting duo XpressionsEnt! Nicole and Rae have both been writing for years, but, in the past few years have been steadily pursuing their dreams of writing and working together as a group. I was honored to be able to cover Kollaboration DC's 6th Annual Showcase & Competition this past weekend! Kollaboration DC is one of many chapters of the non-profit organization Kollaboration, which seeks to empower Asian Americans pursuing artistic paths. A fellow Loyola alum, Shanika Jayakody, serves as Associate Director of the organization and invited me to come out to check out the showcase. I love music of all genres, so I really enjoyed myself! 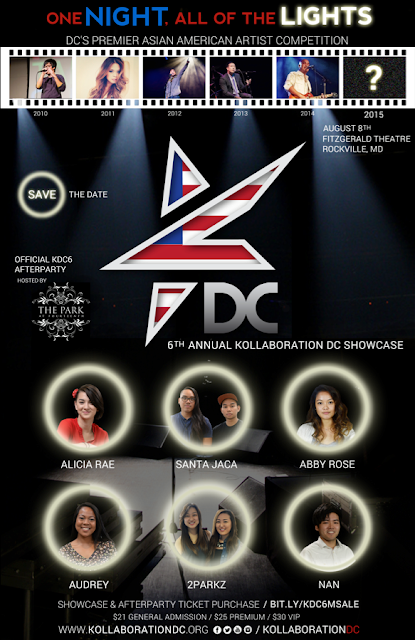 Held at the F. Scott Fitzgerald Theatre in Rockville, MD on Saturday, August 8, the showcase featured upcoming artists from the DMV competing for a chance to advance to the Kollaboration STAR event in Los Angeles. The event was hosted by Adriel Luis, with guest performances from him, Sam Ock, and last year's competition winner Paradise. After scouting and audition artists in the area, it came down to six finalists: pianist Nan, music duo Santa Jaca, singer/pianist Abby Rose, singer/songwriter Alicia Rae, singer Audrey, and singing duo 2Parkz. The winner, announced that same night, will compete in LA against champions from other chapters across the country for a $10,000 grand prize! With this group of great talent, the judges, Tim Ma, Joe Kim, and Tanner Chung, definitely had a hard decision to make in determining this year's winner! Check out a video recap of the competition below! Film director/actor Spike Lee is known for his work inside and outside of the industry. He has given us good films such as Crooklyn, School Daze, and Do The Right Thing. Within each movie, he always leaves us with a powerful message. Keeping the spotlights coming! As always, if you are or represent an upcoming artist, designer,producer, etc., and would like to be featured on The Spotlight, please visit our Features/Submissions page for more information! Today, we have designer Renata Eileena, owner of custom line Reneta Eileena, LLC. Raised in Philadelphia, Renata has always had a love of fashion. Though she noted that Philly has its own unique style, the designer admitted her own style is outside of that, finding inspiration from “literally everywhere,” pulling from art, TV shows, etc. “When you’re an artist, you can get inspired from literally looking out the window,” Renata said. She is also inspired by Christian Louboutin, Yves St Laurent, and Betsey Johnson. 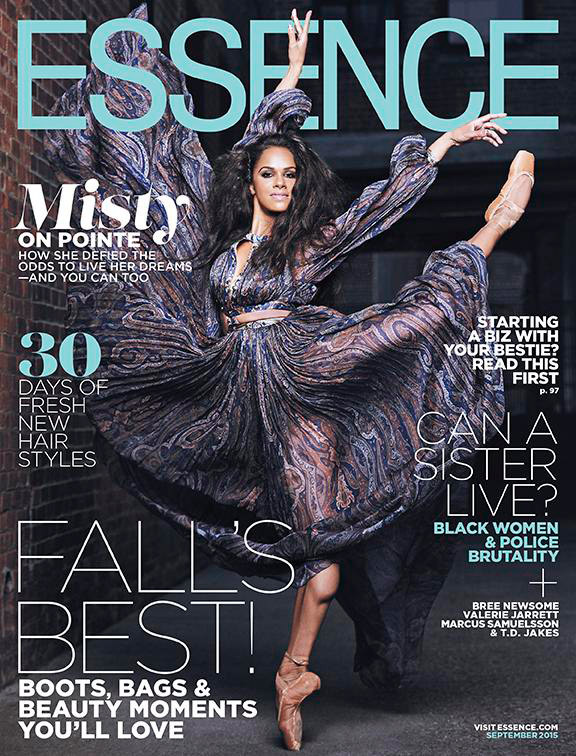 Misty Copeland has snagged the cover of the September issue of Essence! 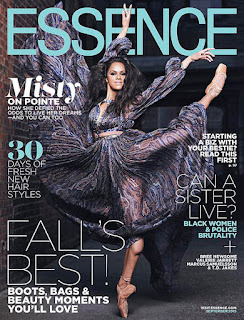 The ballerina, who happens to be the first African American ballet dancer to take the lead role in Swan Lake, looks absolutely stunning as she poses on pointe! In addition to that great achievement, Essence also notes that Misty also has a new role on Broadway in the play On The Town, has signed a contract with Under Amour, and is now engaged to her long time boyfriend. With so many accomplishments at only 32 years old, Misty is having an amazing year. I would say that she deserves it with all the hard work and training she has put in to reach her goals. Goals do not happen without a plan and hard work. Misty gets added to the list of people that young African American girls should look up to or admire. Make sure you grab your copy ladies and gentlemen!!! Some months ago, we had the opportunity to have rapper Mosliano as a featured artist on The Spotlight. 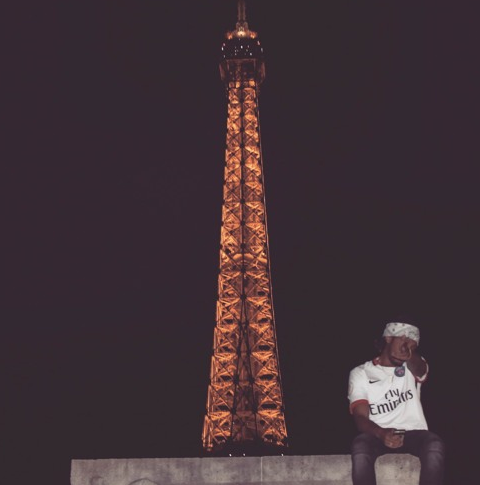 Now, he has released his latest visual for track "Paris in July," which was actually shot in Paris some time ago. 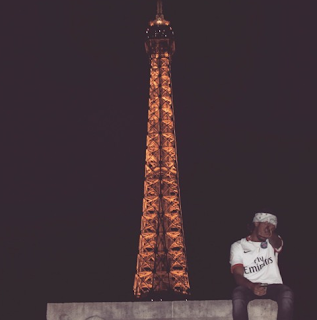 We see amazing, beautiful shots of the city as Mosliano raps about growing in his craft and continuing to progress. After nine seasons of The Game (5 of which I recapped for this blog), I can't believe that last night was the final episode! Picking up from last week, turns out when Pookie's gun went off, Rick Fox was accidentally shot in the leg. Like any sane person, he wants to call 911. However, Tasha tries to change his mind, because Pookie has two strikes on him already. He doesn't want to go to jail and Tasha is freaking out since that's Kai's father (and because she still loves him). Chardonnay comes over and sees Rick shot, and plans to take everybody to the hospital. As Chardonnay drives, Tasha and Rick talk about their relationship (with Pookie sitting right on the other side of Tasha, mind you). Though Rick has some lingering feelings, the truth is Tasha's heart isn't with Rick anymore. Rick calmly accepts it, and decides to say that he accidentally shot himself versus blaming Pookie. He kicks them out of the car, just so that Pookie doesn't get in trouble, knowing how much it means to Tasha. I was able to go check out an advanced screening of Ricki and the Flash this week, which stars Meryl Streep as the title character. I just had to see Meryl rocking out in a band for myself! 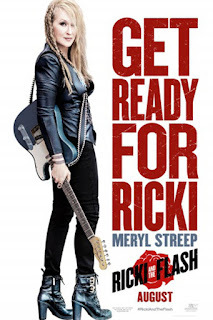 "It's been a roller-coaster ride for Ricki Rendazzo (Meryl), a one-time wife and mother of three who left her family behind to follow her dreams of rock 'n' roll stardom. Now, the singer and guitarist must face the music when she returns home to Indiana to reconnect with ex-husband Pete (Kevin Kline), troubled daughter Julie (Mamie Gummer) and engaged son Josh (Sebastian Stan). Filled with regret, Ricki hopes to find redemption for all of the bad choices that she made in the past." Note: Some spoilers may be ahead. I'm not the one to take things like this serious but I watched The Muppets when I was little. For years, I was trying to figure out if these two were really together. 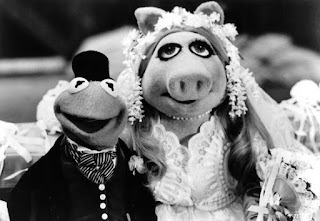 Well, it's clear that Miss Piggy and Kermit The Frog were together and they have decided to split! When you see two muppets split, it makes you question love a bit! 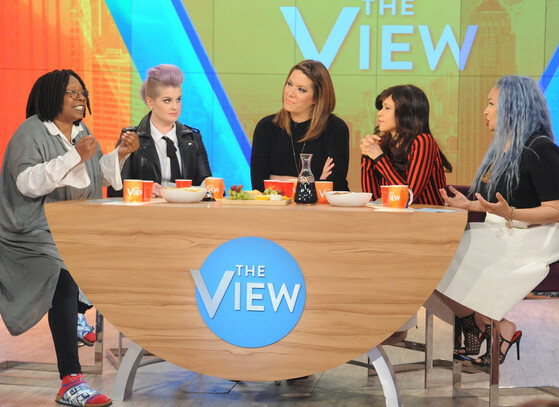 The View's Rosie Perez and Kelly Osbourne got into a minor heated debate because of a comment Kelly made about Latinos. "If you kick every Latino out of the country, who is going to be cleaning your toilet Donald Trump?" E! News reports. Though Rosie did defend herself, it was clear that Kelly was making a point regarding the malicious things Donald has said about Latinos and immigration. E! News also reported that that she later apologized stating, "I whole-heartedly f-cked up today. I don't want to bullsh-t anyone with lame excuses. Although I was stopped mid-sentence by Rosie Perez and couldn't finish my point, I will not let Rosie take responsibility for my words. I should have known better as it was on The View and it was live". Kelly meant well but you always have to think twice before you speak. She stood up as a woman should and was brave enough to apologize for her mistake which really matters. 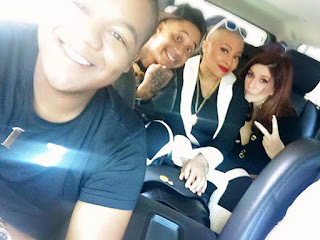 That's So Raven's cast Raven Symone, Kyle Massey, Orlando Brown and Anneliese van dePorl were spotted downtown in NYC. E News says that Raven Symone posted this picture to the left stating, "Wait till I tell why we were all together." There aren't enough details on whether or not the Disney cast will be making a acomeback but could it be? I remember getting up on sunny Saturday mornings to watch That's So Raven. I still know every word to the theme song! I hope this a start of new beginning with them being reunited. Look out for more information on their upcoming project together. 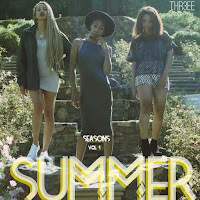 R&B trio Thr3ee has released their latest track, "Fragile," from their upcoming EP Seasons Vol. 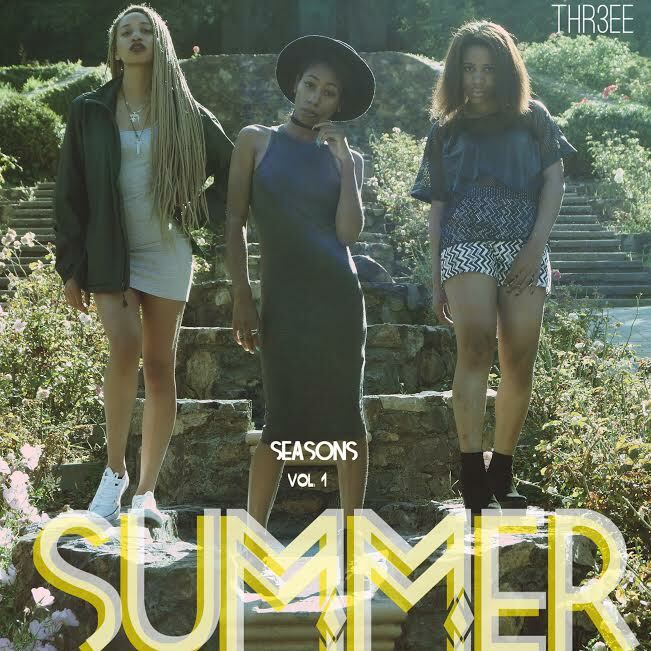 1, Summer. Produced by 1-O.A.K. and Drew Banga, the mid-tempo track features the group admitting that they probably won't be fragile with the hearts of their significant others. "I can't even give you my love...oh you know I'd hurt you," they sing. "You're looking like you need someone to be there, and I'd only desert you." I definitely respect the honesty on the song! We've been getting quite a few great submissions to review and post lately! 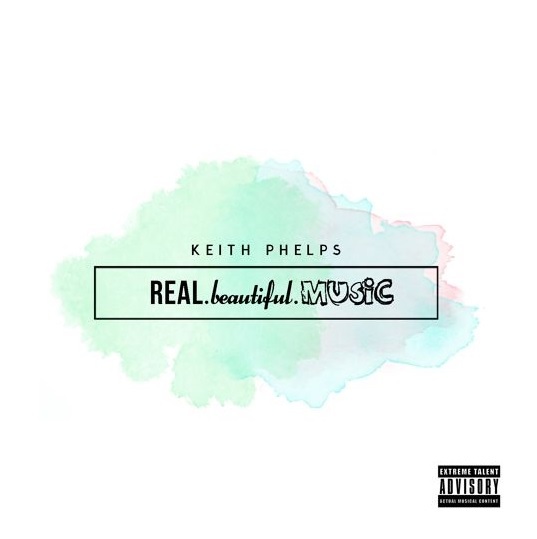 Check out REAL.beautiful.MUSiC, the latest album from rising R&B artist Keith Phelps! 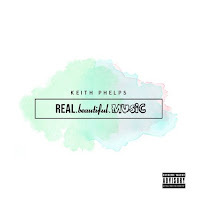 Produced by Keith himself, along with David Edwards and Veronica Kelly, the album offers a good balance of upbeat and mid-tempo tracks, as well as ballads in the contemporary R&B realm. Listen to the album in full below! Another spotlight for you all! As always, if you are or represent an upcoming artist, designer, producer, etc., that is interested in a feature on The Spotlight, please visit our Features/Submissions page for more information. 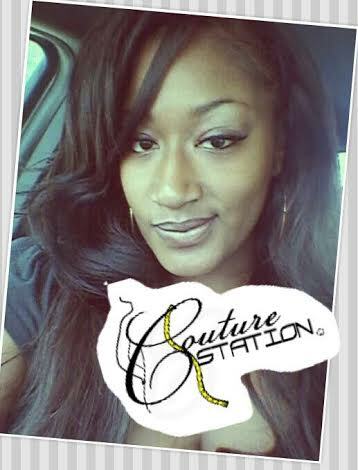 Today, we have designer and owner of Yatir Clothing, Joi Lanell! Joi always had a true love of fashion, with her own parents even putting on fashion shows themselves when she was younger. Joi herself began drawing clothes as a kid. "It's just kind of something that I was born into, and it's something that I enjoyed also," Joi said. Though she loved fashion, she began studying film in high school and her first year of college. However, the designer eventually realized that it wasn't something that she had a true passion for, and she made her way back to fashion.